These Belkin range extenders are for your router. Is your router giving you the wireless coverage you need? Perhaps you’re having trouble getting a signal in the family room, your setup in the bedroom isn’t quite communicating with the router in the study, or you keep finding dead wi-fi spots in and around your home. The design of your home, the wireless channel you make use of and the quality of your router are but a few of the reasons why your wi-fi signal is not up to par. Fortunately, there are a few ways to combat this predicament, particularly when it comes to investing in wireless range extenders for your home. 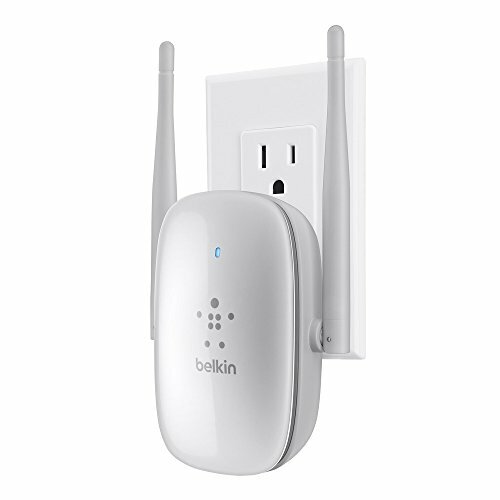 So, to help you get the best connectivity with the right product, here are some of the best Belkin range extenders reviews on the market. Wireless range extenders work to provide your entire home with wireless connectivity for your devices, PCs, laptops, Macs, smart-phones, and tablets. 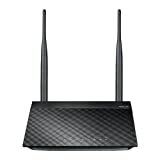 Routers and modems are often limited in the range at which they can broadcast a signal in your home, and while it may be plausible to doll out money and time on investing in and setting up a new, more powerful router; extenders provide greater range with a bit more ease, quaint style, and value for money. The main benefit and application of range extenders concern their ability to boost signal strength in your home. The further your devices are from the router, the more likely they are to provide slow and unreliable connections. Range extenders solve this problem by repeating the signal that is broadcast by your router so that it can reach more areas of your home with higher speeds and greater stability. Range extenders can also help limit interference and obstructions to your signal by physical objects such as walls, cabinets and metal objects which are likely to have an impact on wireless performance. Putting an extender in an area where these types of items are likely to cause no interference will certainly boost your signal significantly. There is a certain cost involved in using range extenders. Firstly, extenders are rarely cheap and you often get what you pay for, making it worth-while to spend a little extra on a high-quality extender. There are also electricity costs to consider, especially considering your extender will be operating 24/7 in most cases. Extenders (particularly the cheaper ones) don’t always give you the performance boosts that you expect from them. Their performance is often based on the compatibility of your current networking hardware, meaning you may not notice a difference if your router and devices are not perfectly compatible with your extender you opt to use. The compatibility of your router is a crucial thing to consider before buying a range extender. Many routers in circulation still make use of the IEEE802.11 Wi-fi standard which is practically obsolete, while many others are still only giving speeds at a maximum of 300Mbps. Having said this, if your router simply cannot handle high speeds, then there is no sense expecting an extender to boost performance. Wireless extenders can only work as fast as the modem they are communicating with, so if yours is a bit of a dinosaur, you should first look at getting an upgrade before considering a range extender. If you have a dual-band router that supports both 2.4GHz and 5GHz channels, then you would do well to get a dual-band extender as well to take advantage of both sets of frequencies. However, a 2.4GHz single band extender might be the cheaper option, and while it will only broadcast to those channels, those devices directly connected to your router will still be able to make use of the high speeds provided by 5GHz channels. Security should always be a concern when it comes to your wireless network, so you want to ensure that the extender you are using can provide you with WPA2-PSK encryption that requires users to know your password, as opposed to the less secure TKIP encryption method that some extenders use. If your router doesn’t support WPA2-PSK encryption, you would do well to replace it before using an extender. To get the most coverage from your extender it is best to find a product that can be placed unobtrusively in the center of your home. This will ensure that each and every area of your home is within range of the signal it is relaying, but it is crucial to ensure that it isn’t so far from your router as to struggle connecting with it. Because of this, aesthetics is often a concern for owners. How easily can the range extender be concealed? Does it take away from the décor of your home? These may not seem like important questions now, but you’re the one who will have to look at it every day. The E2S4000 provides dual-band wireless connectivity of speeds up to 300Mbps on both bands. This makes it a good solution especially for those households with media centers that could benefit from web-connectivity as well as online play, although perhaps the latter would be best through an unbridged connection. It makes use of MultiBeam Technology to ensure greater connectivity to devices around the home, particularly mobile devices which may otherwise run into connectivity issues as a result of dead-zones. Four LAN adapters allow the E2S4000 to connect to 4 wired devices which makes it optimal for home theatres. The E2S4000 is compatible with all wireless routers since it makes use of IEEE 802.11a, b, g, n, IEEE 802.3/3u wireless communication standards for current gen and older routers. This means that you will not have to replace your current router should it be an older model; although there is no harm in doing so. 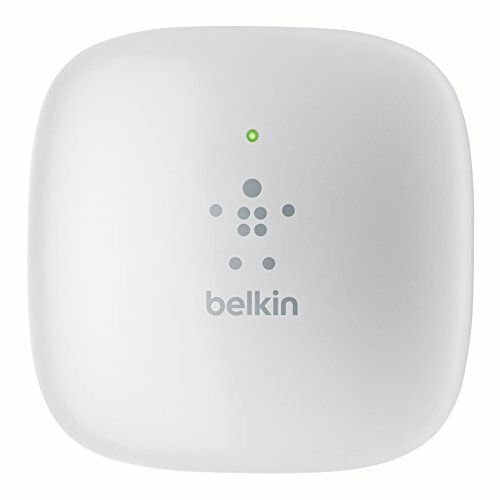 The Belkin E2S4000 provides reliability, range and fairly good speeds on both bands, but it is also fairly simple to set up, which means you don’t need to be a tech expert to get it running. The extender does not require any software installations and can be paired fairly easily with a router using a browser from any device on the network. As far as security and privacy are concerned, this extender provides all the basics to keep you covered: Wi-Fi protected setup, 256-bit WPA2 and64-128-bit WPA, as well as firewall and VPN applications. Most users report excellent stability throughout the product’s lifespan, however, there are often problems when pairing it with older N1 routers, even those that Belkin produces. On the other hand, if you are looking to extend your wireless range with an N1 router, you should probably start by replacing it. 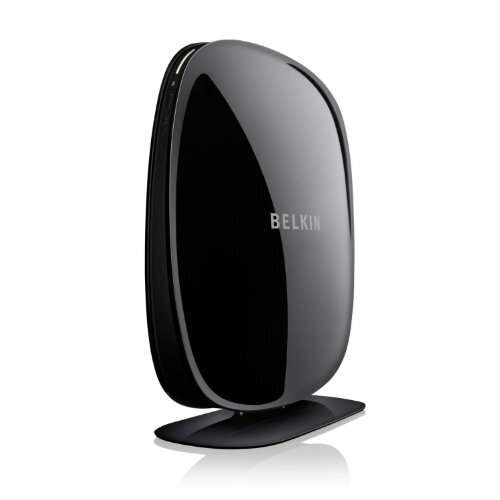 Overall, the Belkin E2S4000 is a good router for all-around applications; and while it might provide great stability, it’s not always as compatible as advertised, and speeds on the 5GHz band are limited to 300Mbps. For the average household, it is a good (if not slightly expensive) buy. It will serve you amicably until you need extremely high throughput on your network, if you ever do. You have to manually modify settings. The very first thing you notice about the N600 is its sleek and discreet design, but it is not simply the aesthetics which make it an impressive product. With a plug-in form factor, this extender can relay your signal by connecting to your powerlines whereby a receiving device can broadcast the network wirelessly to up to 32 WLAN users, and can also connect to a single LAN device. Its dual-band setup can make use of channels on both the 2.4GHz and 5GHz spectrum, at a total of 300MBps each. The N600 takes simplicity and functionality one step further by incorporating a WPS push button in its design, which allows it to pair effortlessly with nearby wireless devices while providing a securer wireless network. It also makes use of a browser-based setup interface which means it also needs no additional software to be installed on setup. It uses Crossband technology to allow the device to continuously send data to multiple devices at once by switching between bands and providing higher speeds. It is compatible with all G and N technology devices, so you should never have a problem getting it to work no matter what type of router you are using. The device also provides greater wireless coverage and stability thanks to two external antennas and is compatible with 802.11 a, g and n network communication standards. Most customers report being pleased with the ease at which the extender can be set up and at which devices can be paired with it; and in most cases, the range is a big plus as well. Unfortunately, interference seems to be a recurring concern for the N600, making it unsuited to densely built or cluttered environments. For the price, however, the N600 will give you exactly what you need for a long time, and it will fit snuggly into the style of your home while doing so. Security-wise, there’s not much application for firewalls and VPNs, but you could always set that up on your router anyway. Takes a bit long to set up. The N300 is the slightly less impressive, albeit more affordable little cousin of the N600, but as far as better wireless range is concerned, it can add up to 5000 square feet of wireless coverage in your home. This goes a long way towards eliminating dead spots in your wireless network. 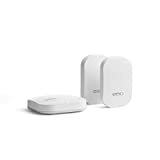 Like the N600, it also plugs into the wall to utilize your power lines to relay a signal, except that it makes use of an internal antenna to relay a wireless signal to multiple devices on your network. This provides it with roughly the same connective capacity as the N600 while removing the bulk of the external antennas. It is even smaller and more compact than the N600 which makes it great for small homes that need to avoid clutter since it can be easily concealed or placed to fit in with the décor of your home or office space. The N300 is compatible with wireless g and n networks, making it ideal for older modems as well as newer ones, and it can transfer up to 300Mbps on a single 2.4GHz band. So while this product might not be ideal for streaming or online gaming, it is perfectly suited to surfing the net, checking emails and chatting online. The N300 is compliant with IEE 802.11a, b, g, n and Wi-Fi certified communication standards and offers 128-bit WEP, 64-bit, WEP and 256-bit WPA security encryption. This makes it easier for you to ensure that your wireless network is kept secure and that only those who have your password may connect to the network. The device also supports standard VPN applications which enables you more control when protecting your online privacy. Like the N600, it makes use of a browser interface to make setup simple from any connected device with a browser and requires no additional software to be installed. For most customers who have used this product, the price is a strong hook point since it comes in far cheaper than most other extenders in its range. However, the savings on money do come at a bit of a cost of performance, especially for those that enjoy using the 5GHz bands. Reliability seems to be a recurring concern, with a hand-full of users reporting failures after around a year or so, however, these reports often come from users who were looking to get more out of its performance than the N300 could provide. The ease at which it can be set up is also one of its strongest points, with even the least happy of its users raving about how simply they could get started using this device. Which to me, makes it ideal for homes that need wireless capability at an affordable price, even if they aren’t particularly savvy when it comes to setting up network hardware. The F5D7132 has a dual operation mode depending on your needs: it can be used as a wireless range extender or as an access point. Since we’ve already covered the functions of range extenders, let’s talk about this device as an access point. In access point mode, the F5D7132 connects to a wired router, giving it wi-fi capabilities where it otherwise may not have had it. But in today’s world of clustered radio frequencies, this feature may not be all that necessary. The F5D7132 features wireless 64 and 128-bit security encryption to help secure your wireless network from attacks. Other security features include SSID management, MAC filters as well as protect mode. Performance-wise, the F5D7132 makes use of IEEE 802.11g/11b communication compliance which makes it compatible with most ISPs and makes use of 2 dbi detachable antennas which broadcast on 2.4GHz (single-band). Thanks to 802.11g wireless technology, the F5D7132 can transfer up to 54Mbps, which isn’t a great deal but is more than ample for the average household. 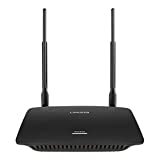 It can broadcast to up to 13 channels on the 2.4GHz band making it easier to avoid interference for a more stable wireless network and is fairly easy to setup using the web-based management system which can be accessed from a browser on any one of your connected devices. The F5D7132 might be a little old and its applications seem a little simple compared to some of the other products listed here, but as far as performance, price, and reliability go, this extender cannot be beaten. Don’t expect to conduct high-bandwidth tasks such as online play or video streaming with any amount of ease however; this device is more suited to browsing, emails and chatting rather than the transfer of rich media. Easy to setup and connect. Good for simple usage but not reliable for HD streaming or online gaming. The F9K1106 takes the ease, performance, security and value of the previous products to another level, providing dual-band connectivity at much higher speeds. Beamforming for better connectivity, WPS for greater ease and security, unbelievable backward compatibility, and (perhaps less importantly) it is sleek and stylish to boot. It can connect to wi-fi channels on both the 2.4GHz and the 5GHz bands, making it compatible with pcs, laptops and mobile devices while performing at higher speeds, and with more channel availability than single-band extenders. Because of this, it can reach connection speeds of up to 300Mbps (on 2.4GHz) and 450Mbps (on 5GHz). The Belkin F9K1106 also makes use of a WPS Push Button which makes seamless pairing with wireless devices simple and extremely secure. It also makes use of WEP, WPA, WPA2 and WPS encryption security to better protect your home network, while PPTP IPSec passthrough VPN support makes ensuring your online privacy a relatively simple task. 4 Ethernet ports allow the Belkin F9K1106 to connect to AV devices such as HDTVs and gaming consoles which makes it perfect for home theatres and media centers. The F9K1106 is also really easy to set up and makes use of a web-based interface to do so which can be accessed from any connected device with a browser. Customers using Macs to set up the extender (instead of PCs) have reported a few problems with getting it to work initially, but with a bit of persistence most of them have won out against troubleshooting issues. Other than that, most users report being very happy with its performance, reliability, and price. 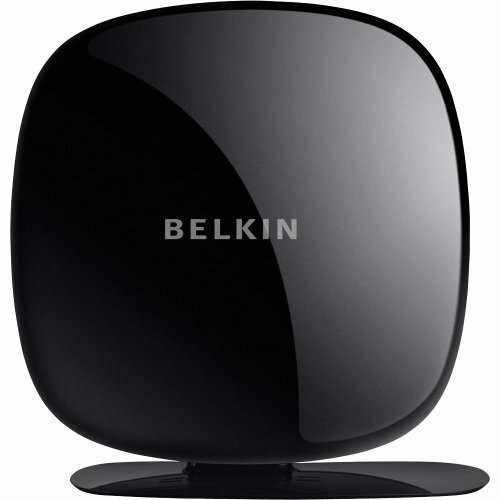 Those using the Belkin F9K1106 for bandwidth-heavy tasks such as video streaming, online play and gameplay sharing report excellent performance on the 5GHz bands, however not when attempting to do so in 4k, which is understandable considering the extender is limited in throughput to a maximum of 450Mbps on the 5GHz band. However, as far as Belkin range extenders go, this one performs admirably for all types of users, especially considering the price range. You have to plug the cable to manage it's settings. All of these Belkin range extenders have been selected based on their performance, functionality, reliability and price, but which one of these outstanding products is the best one for your average home-networking setup? When it comes to deciding which of these routers is the best for a home setup, you need to consider which of them would do a better job at eliminating wireless dead spots and interference in your home, provide the fastest and most reliable speeds, and performs admirably for the price. 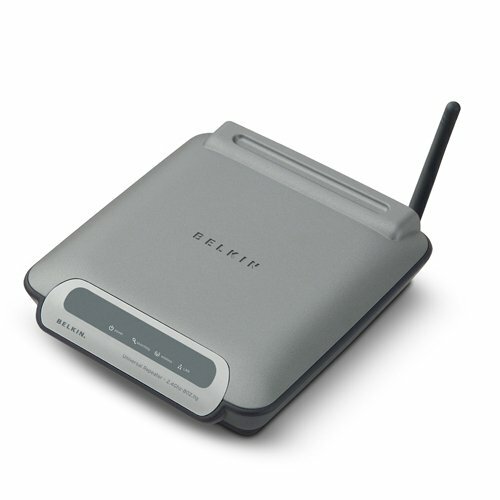 The Belkin F9K1106, when looked at from this regard, ticks all the boxes, thanks to its use of dual-band technology which allows for more (uninterrupted channels) on the 5GHz bands. 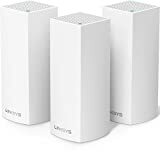 However, it is the E2S4000 which goes one step further by also incorporating the use of MultiBeam technology to further eliminate dead-spots from your network (especially as far as mobile devices are concerned), making it the better choice for wireless setups in the home. It also comes at a better price, it is more reliable and significantly more compact, making it the best extender on this list.